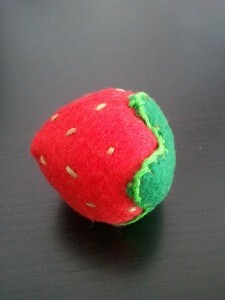 I know it has a couple of unpolished edges, but it was my first one and I’m pretty happy with it so far. If you have any suggestions to make it better, please let me know! One Good Thing A Day – Project Day 38 – Scored Free Tickets! 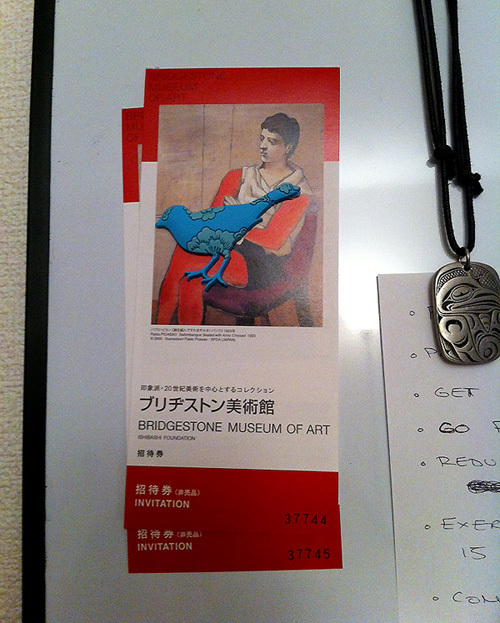 Thank you to Jeff’s friend who was nice enough to give us complimentary tickets to the Bridgestone Museum of Art at Tokyo station. We’ll have to plan another day off this month -yay! Today we got together a fun little gift for my boyfriend’s nephew. His big 5th Birthday, so we wanted to get something creatively put together. 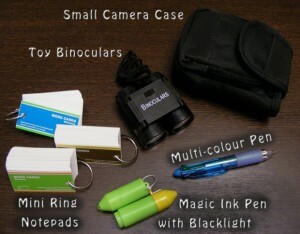 First, we found this cute pair of children’s binoculars and found a camera case with strap that it could fit into. 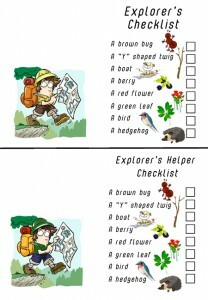 Next, we had to get something for him to write his “findings” in, so we managed to find a set of three mini ring notepads. To go with that, we found a multi-color pen to jot down different color-coded notes (or squiggly drawings…) and finally, for his top-secret findings, we found a Doraemon magic ink pen with blacklight! 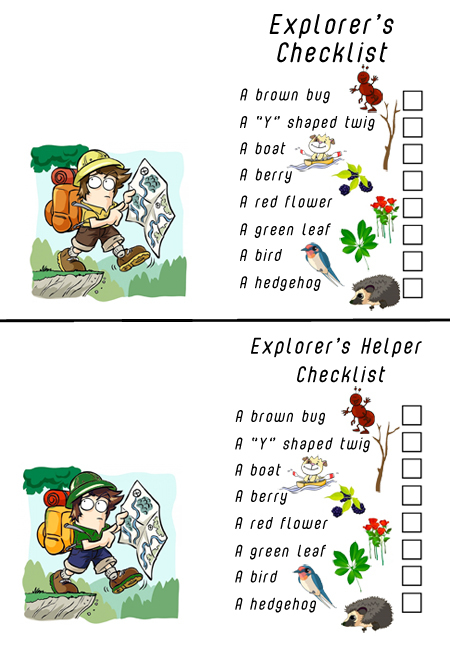 I also made an Explorer’s checklist (with a helper’s version for his brother) just by getting clipart online and changing the main explorer’s colours a bit so the boys don’t have matching ones. 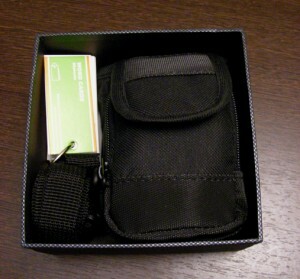 Before he gets it in the mail, we’re going to send a quick e-mail with a few riddles to get him to try and guess what his gift is. Hopefully he likes it!